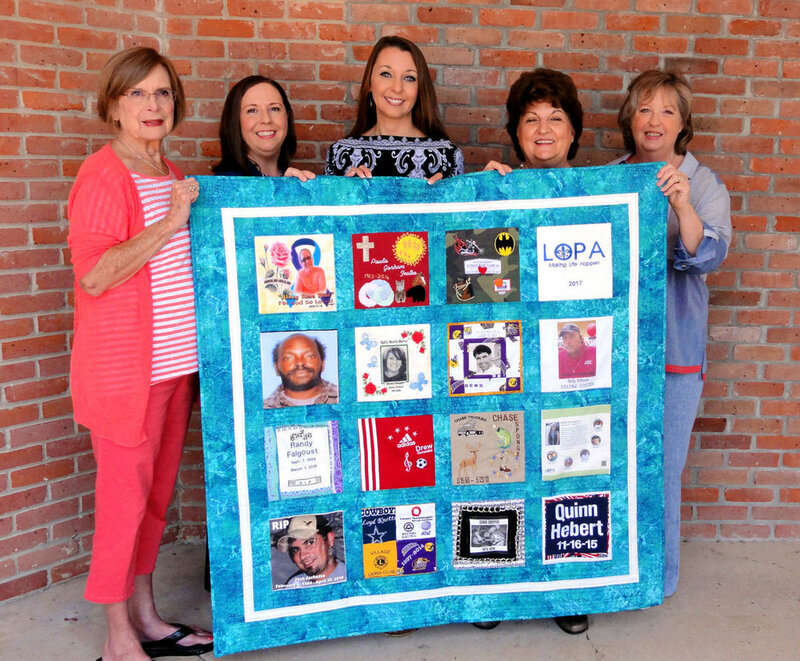 Members of the Ozone Layers Quilt Guild recently created a quilt for Louisiana Organ Procurement Agency that honored 15 recent organ donors. From left are guild member Anita Scott; Lynette Lamarque Wilson and Chrissy Hagan, of the agency; past guild President Stephanie Drewes; and guild President Anne Sarphie. Click here to visit the article on the Advocate's website. Check out Quilt 15 on our website to read about each donor.